Many makeup removers may leave the skin dry or stripped so I tend to reach for products that are more nourishing. My micellar waters are more commonly used during the warmer season while my balms and oils are for the colder months. For removing my makeup, I am obsessed with my Fake Bake Beauty Cleansing Melt* (£17.50) which removes my makeup with the littlest effort. I love how it melts into my skin and leaves it nourished while removing my makeup. 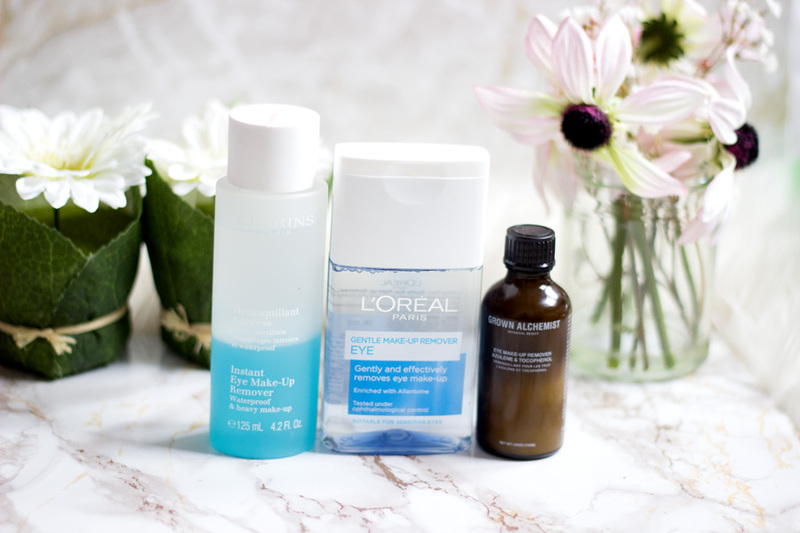 Sometimes, I use my cleansing oils and my current favourite is the L’Oreal Skin Perfection Cleansing Oil. (£7.99) I love how light it feels and it does a spanking job at getting rid of all my makeup, dirt and grease ready for my second cleanse. I have recently been trying out the Clarins Anti-Pollution Cleansing Milk (£19.00) which is just perfect after a day commuting in London. It is super gentle and takes off my makeup really well without stripping my skin. I think this is one cleansing milk that would suit every skin tone. Lastly is my favourite weekend makeup remover/cleanser - The Liz Earle Cleanse and Polish Hot Cloth Cleanser (£15.50). It still remains one of the best hot cloth cleansers I have tried in ages. It removes my makeup so well with either the muslin cloth or a flannel (run under hand hot water). It is the closest to a spa-like feeling in my opinion and I think it is suitable for all skin types. 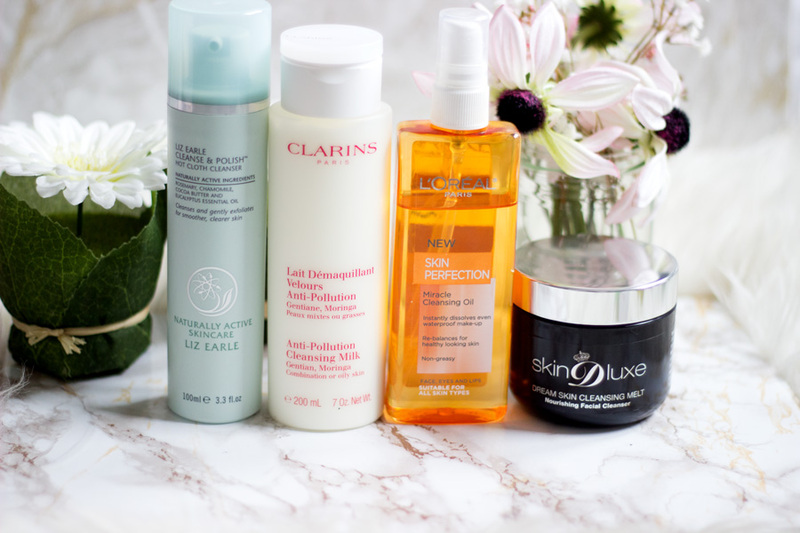 I still stick to my Clarins Instant Eye Makeup Remover (£20) all year round because it is amazing at removing my eye makeup. It removes all kinds of makeup including the difficult waterproof makeup. However, I have been using two other eye makeup removers on days when I don't wear heavy or waterproof eye makeup. The first one is one is the L'Oreal Gentle Eye Makeup Remover (£3.99) which I have spoken about on here so many times. It is one of the best drug store eye makeup removers I have come across. I have also been really loving the Grown Alchemist Eye Makeup Remover* (£19.00) with Azulene and Tocopherol. It is a milky eye makeup remover which is so gentle and I am so surprised at how effective it is at removing even waterproof eye makeup. It is small but very effective and I absolutely love it. I always do a double cleanse because I am aware that removing my makeup is not the same as cleansing. Even on days I don’t wear makeup, I would at least wipe my face with a micellar water to remove any dirt from the atmosphere. If you don’t remove your makeup first and dive in with a cleanser, you would only succeed in redistributing the dirt around your face without the cleanser working. I have four cleansers which have knocked my socks off. The first cleanser (as you can see from the photo) has been well loved to bits and it’s none other than the Grown Alchemist Hydra-Restore Cream Cleanser* (£29). This cleanser is the perfect one for all skin types especially with the current transition weather. It goes on so smoothly and feels very moisturising. The texture is beautifully creamy and does not strip my skin at all. I reach for it both morning and night and it works well . I have spoken about the Foreo Cleansers here so I won't dwell too much on it. I use the Foreo Day Cleanser* (£25) during the day and it is just the most indulgent thing I can offer my skin in the morning. Its creamy yoghurt-like texture just removes any left-over oils from the night before and gets my skin ready for the day. I love to use my Foreo Night Cleanser (£30) at night because it is designed to give the skin a perfect cleanser after a long day at work/school/outside, etc. Last but not least is my La Roche Posay Effaclar Purifying Foaming Gel* (£11) which I absolutely love. The gel like texture feels very refreshing and it’s perfect for day and night. I tend to reach for it more on days when my skin is acting up because I know it would address any issues. I pair all these with cleansers with my Foreo Lunas because they help me get a more thorough cleanse. 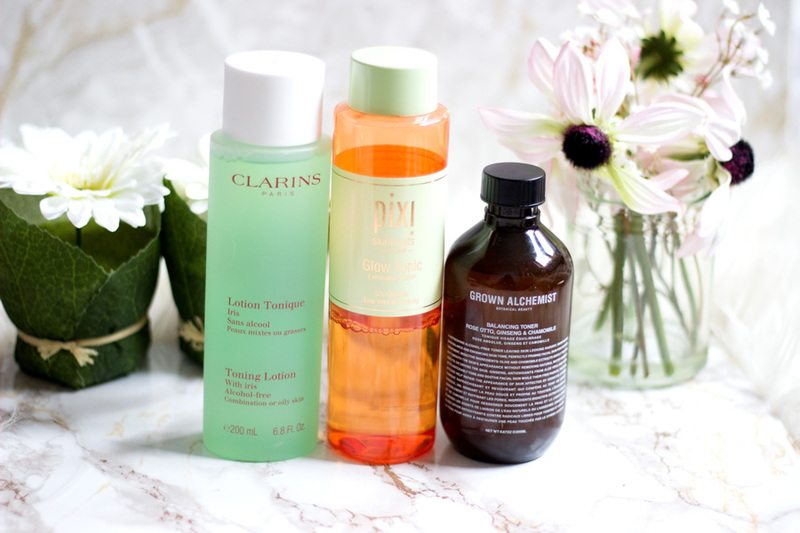 All these cleansers are non-stripping and I think that’s really essential for this season when you want to preserve as much moisture and natural oils on your skin. One good way of introducing a glow to mask any skin dullness is through using a toner. I feel like toners are still underrated but they work so well if you choose the right one. I have three current favourite toners which are gentle and effective. The first one is the Grown Alchemist Balancing Toner* (£22) which contains Rose Otto, Ginseng and Chamomile which is amazing at hydrating, soothing and refreshing the skin. I love this formula so much and I use this after using an acid toner. The second toner is a new entrant to my stash but I am already in love with it. It’s the Clarins Toning Lotion (£19) which is perfect for combination/oily skin. It is as gentle as you can get and also hydrates, refreshes and preps my skin ready for the rest of my skincare. I love Clarins products because they always deliver good results. Last but not the least is the Pixi Glow Tonic (£18) which I love. It’s not necessarily the gentlest or the most hydrating of the lot but it is one of the most gentle and effective AHA acid toners I've tried. It contains Ginseng, Aloe Vera and Glycolic Acid and I love how it gently exfoliates my skin. It gives my skin such a natural glow which lasts longer provided I follow up with other amazing skincare products. 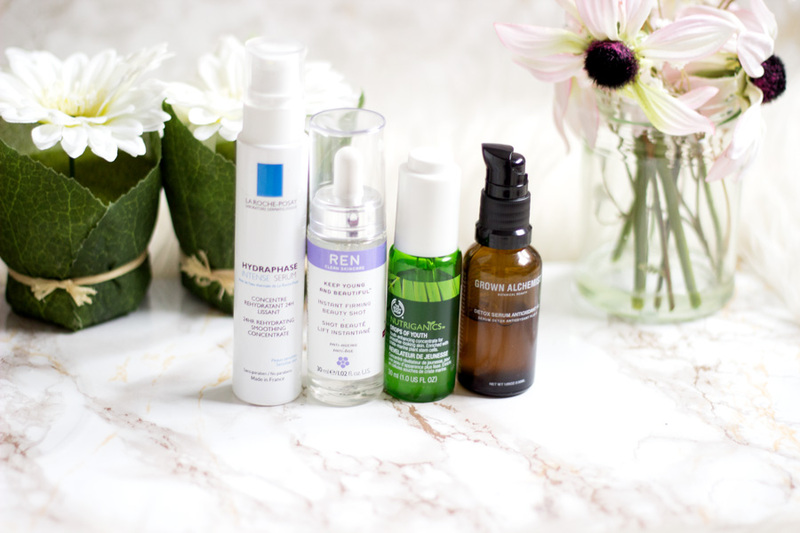 I have built up quite a stash of serums which have been super effective for my skin. I love me a good serum and I find that’s one way to treat your skin as serums are quite concentrated. The first on my radar is the La Roche Posay Hydraphase Intense Serum* (£19) which I absolutely love and it is without doubt one of the most hydrating serums I have tried. It hydrates my skin so well and its effective are long lasting so it does not really matter what the weather decides to do. Another serum I love is the Grown Alchemist Detox Antioxidant Serum* (£39) which is just incredible. It feels just like water but a whole lot better and it refreshes my skin. It is so perfect for prepping the skin for the day. The third serum is the Body Shop Drops of Youth Serum* (£25) which is also one of my favourites for this season. This is a glow boosting serum which also has hydrating properties as well. It’s so easy to use and I love how smooth my skin feels afterwards. The last but not least is my REN Instant Firming Beauty Shot Serum (£36) which adds a youthful glow to my skin especially when the weather is threatening to steal it all away. Once my serums are working their wonders, I reach for moisturisers. Again, I always aim for moisturisers that are hydrating and glow boosting with a smoothing effect. 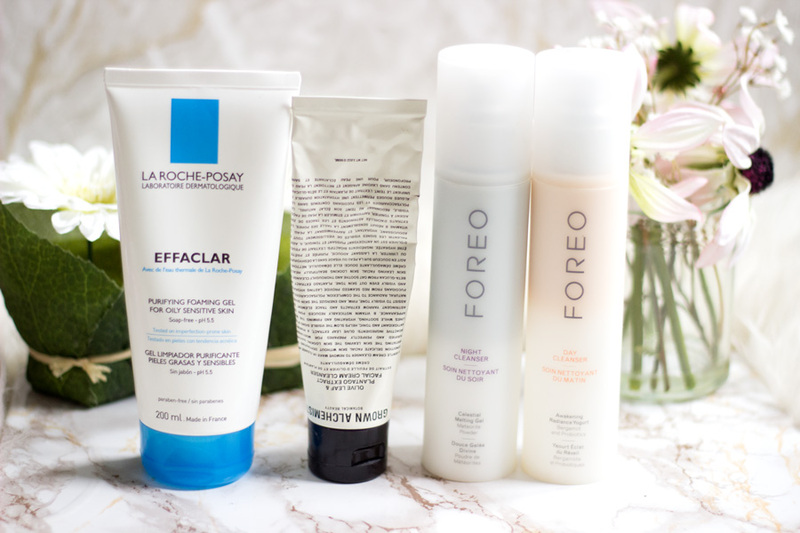 The first moisturiser which I have been reaching for is the La Roche Posay Toleriane Ultra* (£11) which leaves my skin very soft and hydrated. It goes so perfectly with the La Roche Posay Hydraphase Intense Serum* and there is no dryness to be seen through the day. The second moisturiser/primer hybrid is the Embryolisse Lait Creme Concentrate (£13) which is a multi purpose skincare product. It can be used in various ways but I save it for days when I want everything really minimal. It works as a lovely moisturiser and provides a really good base for my makeup. For days when my skin needs an extra boost, I reach for the Body Shop Drops of Youth Cream* (£20) which does everything. It is hydrating, glow boosting and contains salicylic acid to help keep my pores clear. I really highly recommend giving this a try if you want a multi-acting product for this season. Last but not the least is the Vichy Skin Sleep* (£20) which was a favourite last year and I still love it. I use this mainly at night and it makes my skin look so fresh and radiant the next morning. I am always tempted to use this during the day because I love its beautiful silky texture. I have to mention that I use these moisturisers for both day and night except for the Vichy Skin Sleep which I use mainly at night. I have not been going too crazy with my masks because I have just been sticking to only two masks. In the past, I always have a regular mask and one for acne but my skin has been on its best behaviour lately. I have been focused on introducing some glow to my skin to cancel out any dullness which accompanies this transition weather. The two masks are from REN and I am absolutely in love with them. 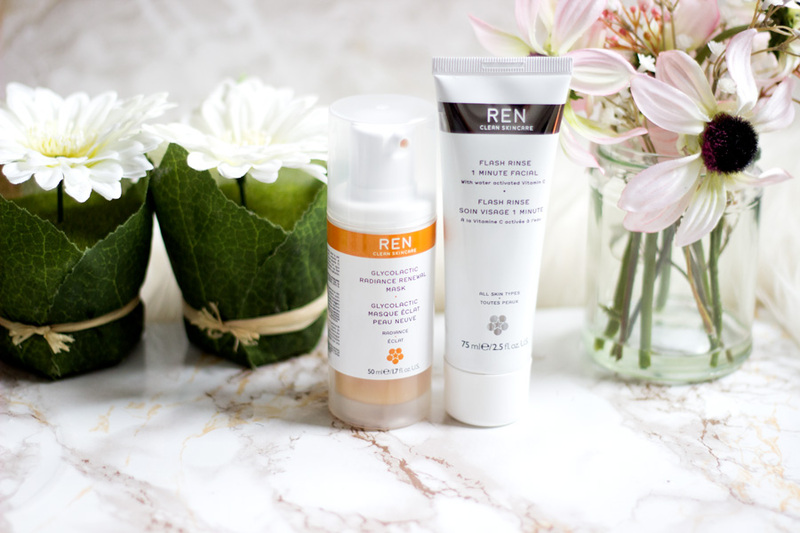 The first is the REN Glycolactic Radiance Renewal Mask (£32) which is by far one of the best glow boosting masks I have tried. It contains Glycolic Acid and Lactic Acid which help with gently exfoliating the skin to reveal fresh and radiant skin. I use this every week or so and I love it. The second mask is the REN Flash Rinse 1 Minute Facial (£32) which is my quick fix mask. You only need to have it on for a couple of minutes and it adds some radiance to the skin. If you are pressed for time or you are really tired after a long day, I really recommend trying this mask as it works so well for this season. One of the things I dislike about this weather is how dry my lips and hands get.I won't be talking about my hands today because I have a full post here on all my hand creams. For Lips, I just reach for products that work quickly and effectively. The first is the Lanolips 101 Ointment Lip Balm* (£10.99)which is one of the best I have tried in a long while. It is made from Lanolin so it has super nourishing properties for dry, chapped and cracked lips. I mainly use this at night as it sits slightly heavy on my lips. The second is the By Terry Baume de Rose Lip Balm (£39) which I absolutely love. I use this almost every morning because it preps my skin for my lipstick or lip product. It is pricey but believe me, it would last forever. I have not made a significant dent and it's been six months of consistent use. Before we transitioned to Spring (or the faux Spring weather we are blessed with), I was always using Body Oils because they feel very nourishing. 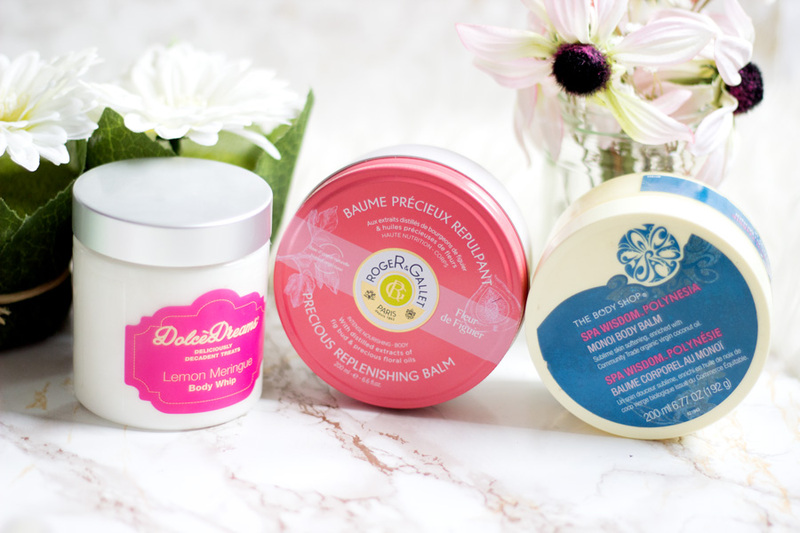 However, I have recently switched to my Body Butters and Balms. I can't decide which one I love the most from this lot so I have featured them all. The first is from the Body Shop Polynesia Body Balm (I think it may have been discontinued) which I love because it just melts into my skin and smells so lovely. 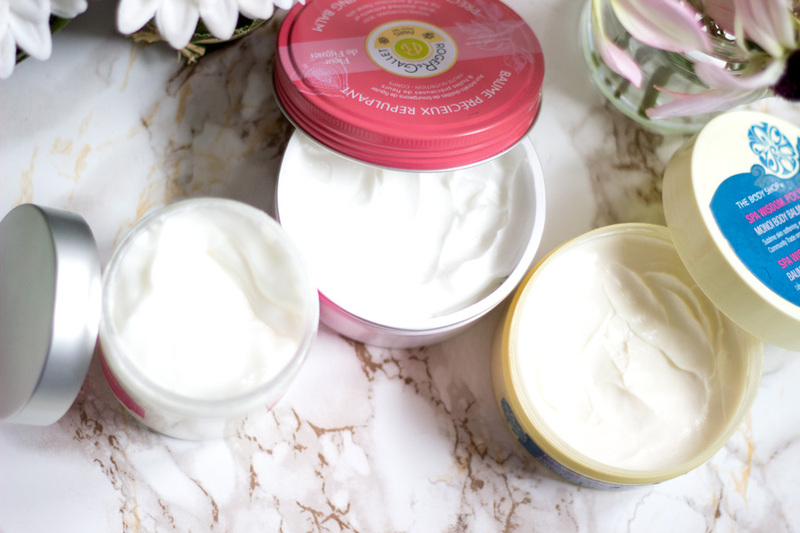 The next Body Butter is the Roger and Gallet (Fleur de Figuier) Precious Body Butter* (£17) and it is just so gorgeous. This is my pick me up Body Butter and I have been reaching for it more as the weather is changing. It smells so lovely and I also reach for my Fleur de Figuier Fragrance* as well to maximise the fragrance. Last but not least is the Fake Bake Beauty Dolce Dreams Body Whip* which smells like a Lemon Meringue (no seriously, it totally does). This is the lightest in texture of the lot and I reserve this for pamper days and weekends. It's just a lovely treat for my skin and it really keeps my skin moisturised. I know it seems like a lot of products (which it is) but I love to switch up my skincare and body care when I can. Of course, there are some products that always feature in my stash but I am so thankful that I can change it up every now and again. I think I would be sticking to these products even when Spring shows up properly. 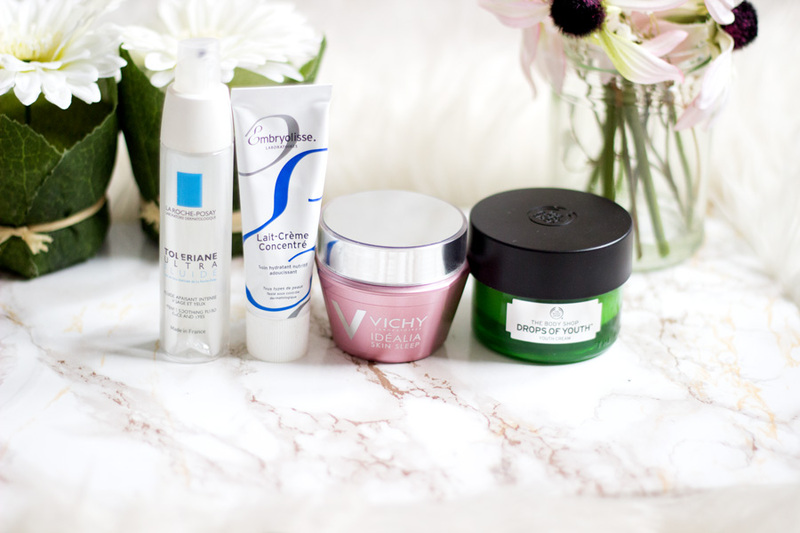 That's all my Winter-Spring Transition Skincare faves. What are your must have for this season? Well written post! 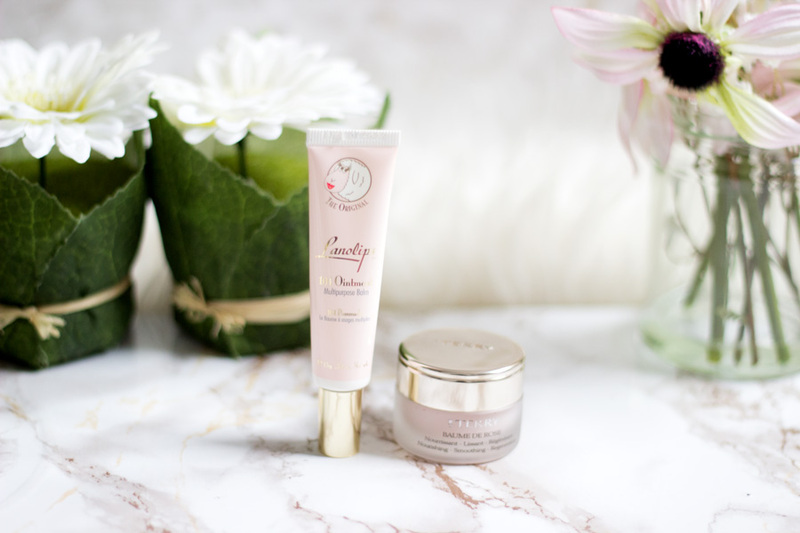 I'm dying to try the Embryolisse Lait Creme Concentrate. 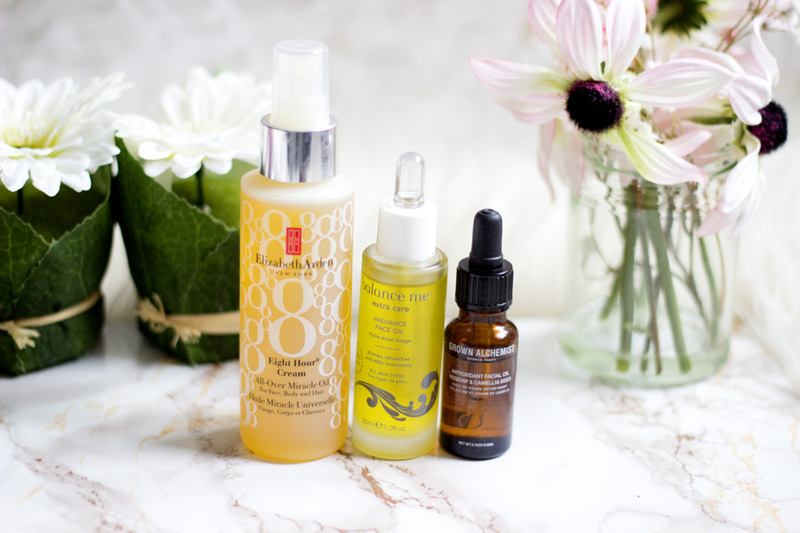 I am dying to try the Body Shop Drops of Youth range, it will be perfect for my skin!